02.01.2017. Perth Arena, Perth, Australia. 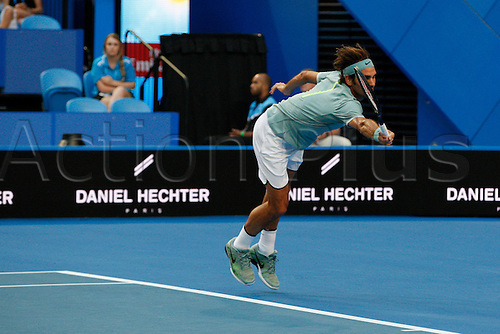 Mastercard Hopman Cup International Tennis tournament. Roger Federer (SUI) reaches for a back hand during his match against Dan Evans (GBR). Federer won 6-3, 6-4.